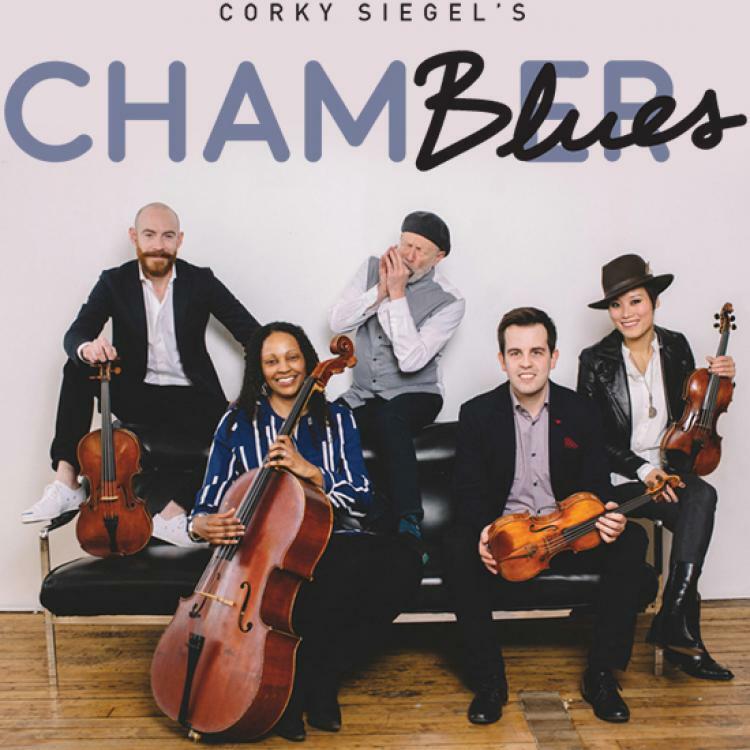 Jazz and Classical music mingle with Corky Siegel’s Chamber Blues! Two extraordinary powerhouses come together for a night of dazzling musical fireworks with riveting Blues harp from one of the country’s best, Corky Siegel, who will be joined by compelling country-blues vocalist, Tracy Nelson. Siegel is a Chicago Blues Hall of Fame inductee, a founder of Siegel-Schwall, who’s celebrating 30 years with his innovative Chamber Blues that includes virtuoso masters of strings, world percussion with Kalyan Pathak, and keyboards. Siegel and ensemble will be joined by Tracy Nelson (Mother Earth). Her signature song “Down So Low” was covered by Linda Ronstadt, Etta James, Maria Muldaur, Dee Dee Warwick, and Cyndi Lauper. Tracy’s duet recording with mega-country star Willie Nelson, “After the Fire is Gone” was nominated for a Grammy Award. Tracy will be featured on PBS-TV on Austin City Limits with a host of stars on October 25 – check your local listings. Corky Siegel has earned an international reputation as one of the world’s great blues harmonica masters. He is a composer, blues pianist, singer/songwriter, and winner of the Lila Wallace national award for chamber music composition, the Illinois Arts Council Fellowship Award for Music Composition, Chicago Lifetime Achievement Award, and Chicago Blues Hall of Fame. Along with the members of the ensemble and the illustrious guest collaborators Chamber Blues continues to break new ground in its 30th year of innovation.